While ministering at Johannesburg, South Africa, I received an invitation to preach in the City of Pretoria, Transvaal. Consequently, a series of meetings was arranged for. It was my first visit to Pretoria, and the congregation to whom I ministered was a stranger to me. I was entertained at the home of Mr. So-and-so, Hamilton Street. I arrived about three o’clock in the afternoon. About 4:30, a gentleman called and inquired of Mrs. So-and-so if an American stranger was at her house. 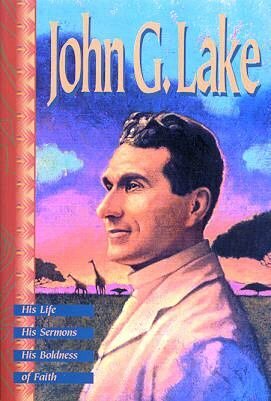 She replied, “Yes, Reverend Lake has just arrived this afternoon from Johannesburg.” She told him I was an American and had recently come over to Africa. He asked for an interview. In the course of this interview, he told me that he had been secretary to Dr. Leyds and acting Secretary of State for the old Transvaal government under Paul Kruger, the last Dutch president of the Transvaal Republic. He told me that when the Boer War closed, because of what he considered faithfulness to the cause he had represented, he refused to sign the agreement recognizing the authority of the British, and in consequence he had been blacklisted as an incorrigible. This prevented him from obtaining employment. His family had been sent to Europe during the war, and he had no money to bring them back. His property and money had all gone in the cause of the Boers, and he was impoverished. He did not have proper clothes to wear nor food to eat sometimes. He said that, notwithstanding these conditions, his soul was consumed with the problems of state and the desire to alleviate the condition of the Boer people and see the people restored to happiness. In the agony of his soul, he had been in the habit of going into one of the mountains for prayer. After several months of this practice, the Lord revealed to him one day that a great deliverance was coming: that a man would arrive in Pretoria from America on a certain date, and could be found at 75 Hamilton Street, at 4:30 pm. He said, “This is the date, and I have come in response to the direction of the Spirit, as I received it.” He welcomed me as a messenger of the Lord and proceeded to give me the details of the revelation as he had received it. His revelation included political changes that were to transpire, a religious revolution that would grow out of my own work, and many events of national importance, which became historic facts during the next few years. He further gave prophecy in detail of the European war and Britain’s part in it. This was in August 1908. It was only after I had witnessed event after event come to pass that I became deeply impressed with the real significance of his revelation. He told me that the present meeting I was about to conduct in Pretoria would be marked with extraordinary manifestations of the Spirit, that these manifestations of the Spirit would eventuate in a profound impression of the majesty and power of God upon the minds of the people of South Africa and would create a stimulus of faith in God throughout the world in later years. Our meeting began at a church on Kerk Street in Pretoria on Thursday night. At the close of the first service, the Spirit of God was deeply manifest upon the people. On Friday afternoon when we assembled, the Spirit of God proceeded to work mightily in the people. Many came to God and confessed their sins. Others who already were Christians sought God with profound earnestness for the real, sanctifying power of God in their lives. Some were baptized in the Holy Spirit, their baptism in the Spirit being marked by speaking in tongues under the power of the Spirit and interpretation of these messages by the Spirit, and also by blessed healings of greatly diseased people. The meetings ran practically without cessation from then until the following Wednesday at 3 am. Each service marked a decided increase in the presence and power of God. On Saturday night, the church was packed. All available standing room was occupied with men standing shoulder to shoulder. The majority of those who were standing were men from the Tattersall Racing Club. Most of them were Jews. They included horsemen of all classes—bookies, jockeys, stablemen, racetrack gamblers, etc. 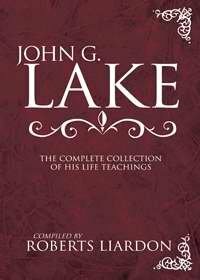 I was preaching on the subject of the power of God and in a strong spirit was endeavoring to demonstrate that Jesus Christ was the same yesterday, today, and forever, that His power was as great as it ever was, and that the only necessary qualification for touching God for anything was faith in Him. The audience was greatly moved. I waited for them to make their selection, and they put forward two men. I have forgotten the name of one of the men at this time, but the name of the other was Mr. Mulluck, a barber, a very intelligent gentleman. His shop was in the market building. I afterward learned he was an American. “Then,” I said, “stand back, for I am going to pray for this woman, that the Lord will heal her.” Placing my hands on her shoulders, I commanded in the name of Jesus Christ, the Son of God, that this rheumatic devil that bound the woman be cast out and in Christ’s name commanded it to go, rebuking it with all the energy of my soul. The power of God lashed through me like a burning fire until the perspiration burst from the woman’s face. Then, taking her by the hands, I said, “In the name of Jesus Christ, put your arms up.” The right arm went up. Then I said, “In the name of Jesus, put the other arm up, too.” She instantly obeyed. Her arms had become free. As I moved the arm, making the shoulder rotate, I observed that there was a grinding sound in the joint. Addressing the men who had examined her, I said, “You have never heard a dry joint in your life. Come and put your ear to this woman’s back while I make her arm move.” As they did so, I moved the arm, and the shoulder joints would grind. The oil had not yet returned to the joints. In the woman’s delight, she threw up her hands and praised God and started for the door. The crowd parted for her, and she disappeared, and I did not meet her again for some months. Another lady arose and came forward, saying, “I wish you would pray for me.” I asked her what was the matter, but she did not reply. I bowed my head, saying, “Jesus, show me what is the matter with this woman.” Instantly, the Spirit moved my hand down her body from the throat to the stomach, and I prayed for her. She thanked me and sat down. She said, “I was doubtful whether you were a real man of God or not. I said to myself, ‘If he is, then the Lord will show him, and I will not have to tell him what is the matter with me.’” She was perfectly healed. I visited with her and enjoyed the association of the family during the years that followed. At a later time, her son, a man of twenty, was healed of total deafness in one ear, the result of an eardrum having been absolutely destroyed in an operation. His healing was instantaneous. On Sunday morning as the service progressed, a gentleman of prominence, who was an employee of the government, came into the meeting, a Mr. Jabber, a man of great statute. As he walked into the church, the Spirit of the Lord fell upon him while he was walking up the aisle, and he fell prostrate on the floor. Several sons were present in the audience, and Mrs. Jabber, his wife, was conducting the choir. The mother, daughter, and sons gathered from their places in the audience and reverently knelt in a semicircle about him while the audience remained in quiet prayer. The Spirit of the Lord dealt marvelously with him, revealing his sins, and Christ unto salvation. Presently the Spirit fell upon one of the sons, who fell prostrate by the side of the father, then upon another and another, until the whole family lay prostrate under the power of God. When the Spirit of the Lord had lifted somewhat from them, these sons confessed their disobedience to their parents and to God. And the whole family knelt with their arms around one another, melted by the tenderness of the presence and power of God. Confession and repentance on the part of each to the other made the household of one soul. Words are a poor medium to describe such an event as this. It would have to be seen to be realized. The tenderness and conscious presence of God, the melting power of His mighty Spirit, could only be understood by one who had looked on. No words can tell the story. Notwithstanding the mighty manifestations of the Spirit, I was anxious that the real working out of the Spirit of God would remove all character of denominational prejudices and those elements in man’s nature that keep him from loving and serving God with the broadness in the beauty and grace of holy charity—all that should be utterly removed from the people’s hearts. About four o’clock pm, I left the service and went home to rest. I had been on my feet so long without rest or sleep that it seemed as if I could continue no further. I lay down to nap, saying, “Wake me at 7:30 for the evening service.” I fell into a sound sleep, and when it came 7:30, the family reasoned that I was so exhausted, it would be a shame to wake me, and they would endeavor to get through the evening service without my aid. However, I awoke at 8:00 and hastened to the church. When I arrived, I found that, in view of my absence, the church service was being conducted in their former formal manner instead of the open character of services we had been having. An air of formality pervaded the house. The choir members, about thirty people, were in their places, including the organist, pianist, and director. The choir gallery was arranged with raised steps so that each row of singers sat above the other. The choir chairs were fastened together in sections but were not fastened to the floor. The anointing of the Spirit came upon me, and I spoke with great liberty in the Lord. I was soon so lost in the Spirit that I forgot altogether about the choir, and the formality of the service entirely disappeared. I preached until ten o’clock, when I stepped from the platform and knelt on the floor of the church to pray. An unusual spirit of prayer came upon me, the burden of which was so intense that it caused me to pour out my soul to God in a more than ordinary manner. As I prayed, the Spirit continued to deepen upon me until I was unable to speak in English any longer, and the Spirit caused me to pray in tongues. At such times, the Spirit of the Lord would give me the interpretation of the prayer in English, which would immediately follow the prayer in tongues. I was lost in prayer but was conscious of a considerable noise. I did not raise my head or open my eyes until the burden of prayer was lifted from my soul. When I looked up, to my amazement, the audience was standing, and at the back of the house, many were standing on their seats, and all were looking toward the choir gallery. As I turned toward the choir, I saw that the Spirit of the Lord had fallen upon the choir and almost every one of them lay prostrate under the power of the Spirit. When they fell from their seats, they pushed the chairs on the row in front of them forward, so that the front legs of the chairs dropped over the edge of the narrow platform. The whole row would turn upside down on top of those who had already fallen prostrate in front. The deacons of the church came and gathered the chairs off of the prostrate ones as quickly as possible. The unbelievers in the house were startled and frightened at this manifestation; they arose and rushed out of the door. I instructed the doorkeeper to turn the key in the door and not permit anyone to come in. The awe of God overshadowed the house. I felt it was not time for unbelievers to be present. God wanted to deal with the church. I went and sat down in the audience. We remained perfectly quiet in prayer for some time. Then, one after another of the prostrate ones began to pray and confess his waywardness and sin to God. There seemed to be but one passion in their souls, to tell out to God the burden of their unbelief, of their sin, their backslidings, and to call on God for forgiveness and restoration and power to overcome. As a soul would thus confess out and pray through into the presence of God, the Spirit of the Lord would lift from him, and he would be permitted to arise. As he did so, he was in a perfectly normal state of mind, excepting that the awe of God’s presence and power was mightily realized by each. Many sat and wept. Others sang for joy. Many were baptized in the Holy Spirit. One young man among the tenor singers lay on the lower platform. Close to him was his sweetheart, a young lady who was a member of the church. Like the others, he was pouring out the confession of his life to God, and to her, telling of his peculiar sins, which were many and vile. Husbands were confessing to wives and wives to husbands, children to their parents, sweethearts to sweethearts, and all to God. The pianist, Mr. Braun, lay beside the piano stool for possibly an hour, helpless and speechless, as the Spirit of God worked in him. I was moved by the Spirit of God to go to him and pray. As I knelt beside him, my hands involuntarily moved to his chest, and laying my hands on him, I prayed. I did not know why I did so. I just obeyed the guidance of the Spirit. As I prayed, I was conscious of the Spirit of God flowing through me to him. I returned to my seat, and in about half an hour, he began to pour out his heart to God. When he had finished, he motioned me to come to him. When I reached him, he said, “Send my wife to me.” I went to the back of the house, where his wife sat weeping, and brought her to him. She knelt beside him. He put his arms about her and confessed that for three years he had been living in adultery. They wept together for hours. God worked so mightily in them that at three or four in the morning, they returned to their home, praising God together. The next day at ten o’clock, he called on me to tell me that the Lord had baptized both him and his wife in the Holy Spirit and that when they were baptized, the Spirit of God came upon both and caused them to speak in tongues and praise God in a spirit of prophecy. His soul was aglow. “Well,” he said, “I want to show you what the Lord has done.” And he opened his clothing and showed me a cancer on the chest, saying, “Three years ago when I went into adultery, this cancer appeared on my body within a few days. I have endeavored to hide it from everyone. Even my wife did not know of its existence; no one but my physician knew. But look at it now. See how the power of God has withered it?” It had turned brown as if burned by a fire, and in a few days, it utterly disappeared. Among other things, the Spirit of the Lord directed Mr. Braun to make restitution to parties with whom he had had dishonest dealings at different times. One that I especially remember was this: he was employed by the government as a civil engineer on a monthly salary. He had been in the practice at intervals of filling out a report saying that he was sick and unable to attend to his duties and would be gone for some days. He was compelled to confess to his superiors that this was not a fact and that he used this time in recreation. The thoroughness with which God dealt with each and all of these was very remarkable. Lives were cleansed to the very inmost, every sin, both outward and secret. The Spirit of God had taken possession, and natures were changed into the likeness and nature of Jesus Christ. These meetings were the beginning of a mighty work of God at Pretoria, which continues to this day.